Where people live affects their health. Living in a healthy neighborhood has a positive impact on personal and community health. To assess if adults in Greater Cincinnati and Northern Kentucky feel our community is a healthy place to live, the 2017 Community Health Status Survey (CHSS) asked two questions about regional and neighborhood health. Overall, about 3 in 10 adults (32%) said the region was excellent or very good as a healthy place to live. This is about the same as 2013. Responses varied by region. Residents of Hamilton County suburbs were most likely to say the region is a healthy place to live. About 4 in 10 adults living there (39%) rated the region excellent or very good. Residents of rural Ohio1 (26%) and rural Kentucky2 (19%) counties were least likely to say the region is a healthy place to live. Responses in most areas remained stable between 2013 and 2017. However, adults in rural Indiana counties3 were more likely to say the region is a healthy place to live in 2017 (27%) than in 2013 (18%). CHSS also asked, “How would you rate your neighborhood as a healthy place to live? Would you say excellent, very good, good, fair or poor?” More than 4 in 10 adults in the region (44%) said their own neighborhood was excellent or very good as a healthy place to live. This is less than in 2013 (48%). Similar to 2013, City of Cincinnati residents were the least likely to rate their neighborhood as excellent or very good (23%), while residents of Butler, Clinton and Warren counties were the most likely (54%) to do so. 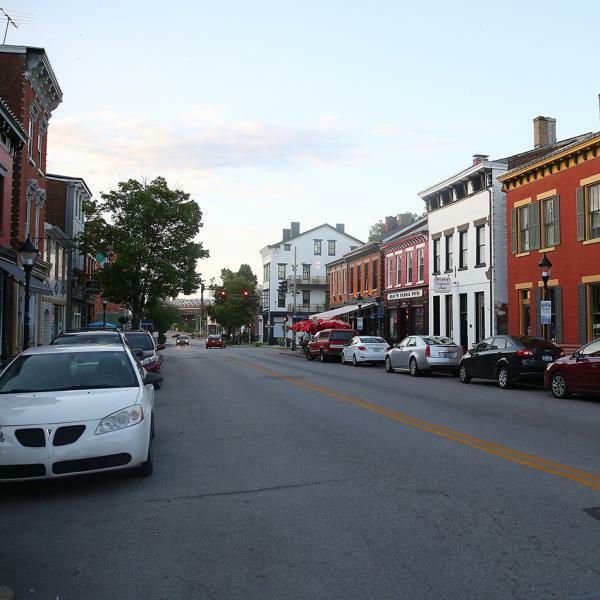 The percentage of adults who said their neighborhood is excellent or very good as a healthy place to live declined between 2013 and 2017 for Hamilton County suburbs and counties in Kentucky.4 Responses in other areas remained about the same. African American adults were less likely than White adults to report that the region or their neighborhood is a healthy place to live. Adults earning 100% or less of the Federal Poverty Guidelines (FPG)5 were less likely than adults earning more than 100% FPG to rate the region or their neighborhood as a healthy place to live. 2 Bracken, Carroll, Gallatin, Owen and Pendleton counties. 3 Dearborn, Franklin, Ohio, Ripley and Switzerland counties. 4 Boone, Bracken, Campbell, Carroll, Gallatin, Grant, Kenton, Owen and Pendleton counties. 5 In 2015, 100% of the Federal Poverty Guidelines was $24,250 for a family of four.